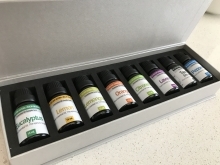 I first learned of some of the therapeutic properties of essential oils when I began private practice in the arctic of Alaska in the late 90s. I found that single drops of peppermint and lavender oil often helped relax hypertonic muscles, leading to improved outcomes with soft tissue treatments like active release technique. I also made a natural air freshener for the clinic by combining orange and sometimes lemon essential oils with water in a spray bottle. The idea of reducing exposure to man-made toxins found in common cleaning and personal care products is one that I continue to embrace, and pure essential oils are a priceless aid to this objective. There are a few other oils like oregano, frankincense, and grapefruit that I hope to include in the future - I have yet to find sources that I am fully happy with, but I'm actively seeking and testing. For now, I'm grateful to be able to offer this gift set of quality oils to our clients at an affordable price point. Our catalogue has always been about providing the highest quality resources we can source directly to our clients without the need for extra margin to cover marketing and substantial overhead expenses. These pure and natural oils are extracted from flowers, stems, seeds, roots, and other parts of plants, and have a long history of use in food preparation, personal care products, and aromatherapy. If you're unfamiliar with essential oils, please know that they can be quite potent, so it's exceedingly important to heed guidance on safe modes of use - aromatic, topical, and internal - and to use only a single drop at a time and dilute where advised to do so. Can be used as a component of a natural mouth rinse, to soothe an upset GI tract, and to add refreshing peppermint flavour and fragrance to foods and beverages. Notes: Peppermint oil can be used aromatically, internally, or topically, but should be diluted for young or sensitive skin. Can be used in a natural air freshener, a cleaning agent, and to add lovely orange flavour and fragrance to foods and beverages. Notes: Orange oil can be used aromatically, internally, or topically. Avoid sunlight and other sources of UV rays for up to 12 hours after applying orange oil to skin. Can be used as a component of a topical solution for fungus, to cleanse the skin, as a component of a natural cleaning agent for hard surfaces, and to purify air. 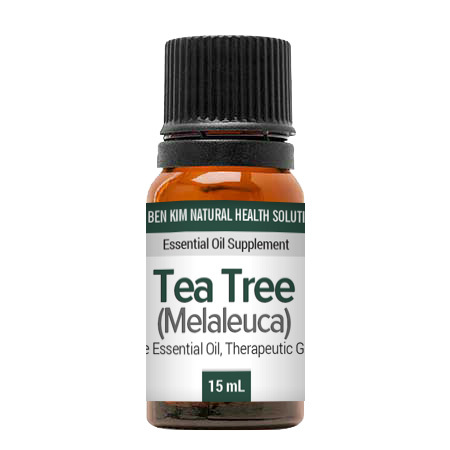 Notes: Tea Tree oil can be used aromatically, internally, or topically. Can be used in natural cleaning solutions, as a natural mouthwash when diluted in water, and to add lemon flavour and fragrance to foods and beverages. 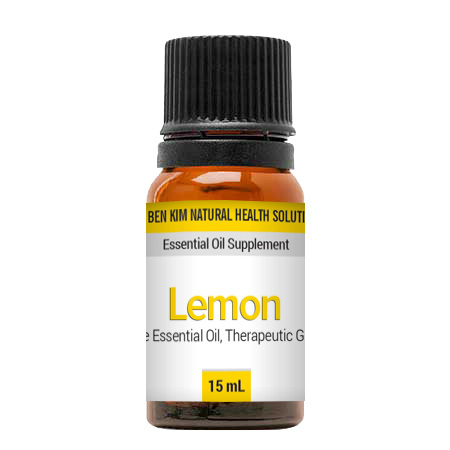 Notes: Lemon oil can be used aromatically, internally, or topically. Avoid sunlight and other sources of UV rays for up to 12 hours after applying lemon oil to skin. Can be used to help ease tension and promote calm, relaxation, and restful sleep. Notes: Lavender oil can be used aromatically, internally, or topically. Can be used to clean hard surfaces. Can help promote clear nasal passageways for more comfortable breathing. Can also promote physical and emotional relaxation. Notes: Eucalyptus oil can be used aromatically or topically, but should be diluted for young or sensitive skin. Can be used as a component of a massage oil, and also as a component of a natural anti-bug spray. Notes: Lemongrass oil can be used aromatically, internally, or topically, but should be diluted for young or sensitive skin. Can be used as a component of an anti-bug spray, and to help alleviate muscle and joint discomfort. Notes: Citronella oil can be used aromatically or topically, but should be diluted for young or sensitive skin. Combine 2 drops of peppermint and 2 drops of lemon or tea tree oil with 1 teaspoon of baking soda in 8 ounces of warm water in a bottle or jar with a lid. Shake well before each use. One tablespoon is a good amount to rinse with before discarding. Combine 5 to 8 drops of orange essential oil and one cup of filtered water in a spray bottle and shake well before spraying. To a 4-ounce spray bottle, add 2 ounces of distilled water, 1 ounce of witch hazel, and 10 drops each of eucalyptus, lemongrass, citronella, and lavender oils. Shake well before each use. It's best to apply on clothing, though it's also safe to use this blend on unbroken skin. Take caution not to spray into the eyes or mouth. In a 2-ounce dropper bottle, combine 5 drops of tea tree oil, 5 drops of lavender oil, 2 drops of lemon oil, 2 drops of eucalyptus oil, and top off with any readily available carrier oil - coconut, jojoba, and almond all work well. If using coconut oil as your carrier, keep in a place above 76 degrees F to keep the solution liquid. Use a cotton ball or swab to apply anti-fungal solution to affected nails 2 to 3 times per day until infection clears up. In a glass spray bottle, combine 1.5 cups distilled water, 0.5 cups distilled white vinegar, 12 drops of eucalyptus oil, and 12 drops of lemon oil. Shake well before each use. The applications are virtually limitless. You can add a drop of orange oil to a glass of water for a refreshing burst of flavour. Add a drop of peppermint oil to coffee, hot chocolate, tea, or even a smoothie when you feel like a minty beverage. If you feel congested in your nasal passageway or sinuses, simply open the lid to the eucalyptus and peppermint oils and gently inhale their natural aromas for relief. Our essential oils are completely pure and natural and free of herbicides, pesticides, and other harmful synthetic chemicals. So using these oils to replace conventional cleaning agents, personal care products, mouth wash, air freshener, and bug spray will reduce your exposure to man-made exogenous toxins in a substantial way. Nowadays, inexpensive diffusers are widely available at most retail stores, so if you're interested in using essential oils for aromatherapy, please be sure to do your research to ensure there aren't any contraindications to your unique health circumstances and people or pets around you. Please note that our Essential Oil Wellness Collection comes with a guarantee: If, after trying our oils for two months, you're not completely happy with their quality and usefulness, let us know and we'll give you a full refund minus shipping and handling costs. We are confident that our clients will see the value in using these oils to naturally enhance health and well-being and also to replace a number of conventional personal care and cleaning products that rely on harmful chemicals. With the migraines I've been having, the peppermint has worked wonders to help alleviate the pain within 5-10min. Today I used a diffuser with the eucalyptus to help my cough and sinus issues. I love the sent of each one, Very high quality. I trust Dr. Kim - as a retired aromatherapist, studied in England, France, Holland , this is a noble idea for 'the people'. 15ml is a ideal purchase size. excellent choices. I think you mean these are 15 ML bottles, not 15 OUNCE bottles as your write-up says. You might want to correct that. :) Just looking out for you, Dr. Kim, as you look out for us!